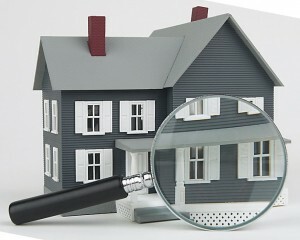 A home inspection is a complete physical examination of the condition of a house. NOT to be confused with an appraisal, the home inspection process is usually conducted within ten days after the home is sold. This may cost between $400 and $500 depending on the size, age, and location of the house, but it is necessary to have an inspection in order to avoid buying a house or property that has hidden problems or costly repairs. Buying a home without getting an inspection is rarely worth the risk, and the last thing you, as a home buyer, need to worry about is an unforeseen complication with the house or property. That is why taking the time and investing in a professional home inspection is so important. Your realtor may suggest home inspection companies for you to use, but you are free to decide on which inspector you wish to hire. Whatever company you chose, make sure that you hire someone who is trustworthy and qualified. A certified home inspector will conduct an analysis of the all-around condition of the home and will investigate all of the major features of the house including plumbing, roofing, insulation, electrical wiring, and structure. A full inspection takes about three hours, and might reveal issues that are not immediately noticeable to an untrained eye. As a buyer, you are making one of the most important purchases of your life and it is important to understand exactly what you are getting. Having a certified home inspector conduct a thorough inspection of your potential home can save you a load of trouble down the road, and will help prepare you for any repairs you may need to make. There are additional inspections that you may want to have before purchasing a home that may be well worth the extra fees. These include well water testing, septic tank testing, oil tank testing, pest and vermin inspection, and appliance checks. 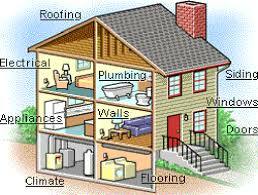 You may also wish to hire a professional to check for radon, asbestos encapsulation, lead paint, and mold. General home inspectors may or may not be certified to conduct all of these tests, so be sure to ask your potential inspector about their qualifications. It is recommended that you attend your home inspection if it’s possible. You won’t regret learning as much as you can about your future home, and it will be helpful to see the house from the prospective of a professional. An inspector may recommend certain repairs, or give you more information about adjustments you should make, but it is not their job to correct or repair any issues that they find. A home inspection will give you peace of mind that the home is in good shape and can inform you of any potential future maintenance that will be needed. If the inspector uncovers any substantial problems that weren’t brought up before, your realtor can help you decide how to proceed, depending on the extent and nature of the needed repairs.